Welcome on pages of Department of Urology, University Hospital in Pilsen. You will find us in the premises of University Hospital in Pilsen - Bory, pavilion 22. Urology was formed in 1981 from the former urology department. It has always been the center of urological care in West Bohemia. At present, due to the centralization of urological urological inpatient care only facility in the Region. Provides acute urological care 24 hours a day. The clinic operates on a full 17 physicians and 7 part-time physicians. Our clinic is accredited workplace II. 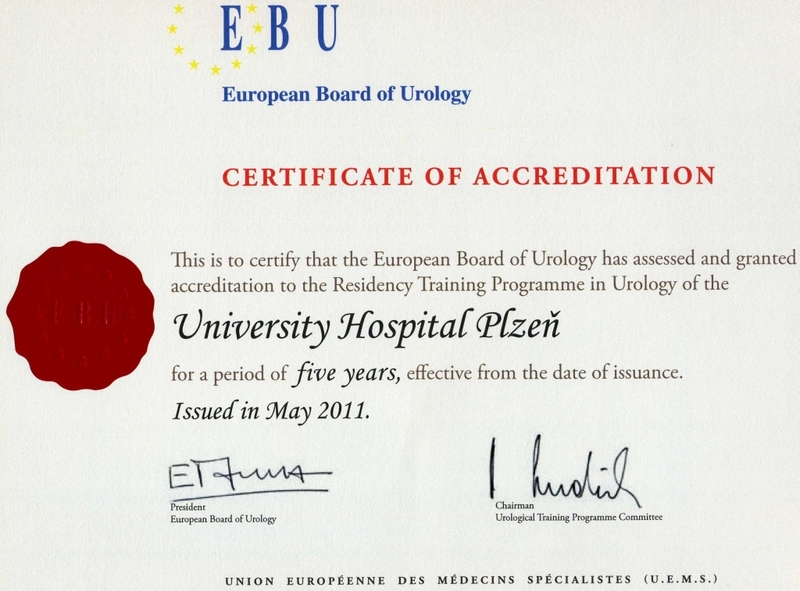 type, and we are the first center in the Czech Republic a certified EBU (European Board of Urology) for postgraduate training in urology (see certificates).